I was very interested to hear from a contact recently who expressed an ongoing frustration with consulting engineers who fail to understand from a legal viewpoint the term 'repair', particularly at the end of commercial property leases. Bearing this predicament in mind, I have penned my thoughts from a Chartered Engineer’s perspective in this informative blog that will hopefully help both property owners and renters. When entering into a commercial lease, you have to ask yourself how often do tenants (or landlords for that matter) put the vacating repair obligation to the top of the agenda and how many fully understand exactly what will be required when it’s time to part ways? Although not the top priority for most when moving into a new space, this usually ends up becoming the main topic of debate when the tenant looks to vacate the property, instigate a break, or serve notice. As you would expect, the tenant will be keen to avoid significant expenditure associated with the vacant possession, especially in respect of repair. The landlord’s key interests will be minimum costs to ensure it is marketable and to get new tenants in as quickly as possible. We all know that often money talks and the alternative for the departing tenant if the property isn’t returned to the agreed state of repair is to put their hands in their pocket and settle via a suitable financial contribution as compensation. This of course is fine in principle but our landlord then has to undertake a programme of works to design, procure and contract the remedial works - putting the property offline for duration with no income. It may sound simple and obvious, but the wording of the repair obligation is vitally important and in the rush and excitement of moving into new digs, terms and conditions relating to vacating the premises often slip from the main agenda for the move. Be sure to read carefully and fully understand exactly what you are signing up for. Most commercial tenants will have what is termed as a 'full repair' obligation which may sound perfectly agreeable at the time, but what does that mean? In a nutshell, if the lease is for the entire property or site then the tenant is more than likely to be responsible for the repair of all building elements - including the structure and external parts. Being asked to address structural building issues or repairs required for external areas like car parks and perimeter walls or fencing can come as quite a surprise to tenants that are only expecting to clean and make good the interior space! If the lease is partial occupation or sub-tenancy, the tenant’s repair obligations will usually be internal only. However, despite this straightforward sounding term, this doesn't necessarily mean that the tenant is not responsible for contributing to the cost of repair to the main structure and external areas (often recoverable by the landlord through what is known as the 'service charge'). A tenant who has an obligation to 'put and keep' the property in good repair is responsible not only for keeping the property in a good state, but to also put it into good repair if it is not so at the start of the lease. This can seem very unfair, as tenants may be expected to put right the defects and legacy item issues that existed already when they took on the lease. Imagine deciding to not renew your lease on expiry having maintained your building impeccably and then getting a bill for a new standby generator which was never operational in all the time you rented and which you have never used or had benefit of! This comes as a shock to many tenants, some of which are genuinely confident that the property was handed back in a better condition than when they first leased it. 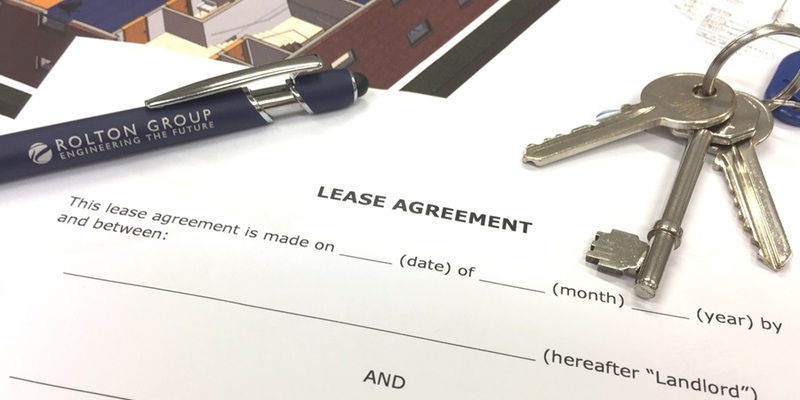 Reading and fully understanding the details of the lease you are about to sign is crucial and always worth seeking professional advice on if there are terms you aren’t 100% certain of – it may not be as simple as it sounds. So what can be done as a tenant? The crucial time is when the lease is being negotiated and one option is to negotiate the inclusion of a 'schedule of condition'. A very important document and not a million miles away from an inventory when you lease a domestic property, this schedule in the form of a surveyor’s report or series of photographs will document the condition of the property at the time of let. The function of this report is such that the tenant will not be obliged to put the building back to any condition better than the starting point identified (usually from the date of moving in). This will often include MEP building services plant and equipment. Although advisable for all commercial leases, this is particularly useful when the property to be leased has been occupied previously or is an older property which may include life expired building services equipment and other expiring assets. Don’t be afraid to ask for exactly what you want in terms you fully understand – contracts are binding both ways and everything is negotiable. Whether a lease is coming to an end or a new lease is due to begin, both parties need to take early advice. Landlords will want to consider what their future plans are and ideally serve a schedule of dilapidations in advance of the end date of the lease. With the discussion regarding repairs on the table as soon as possible, any potential disputes or queries can be dealt with in good time, meaning the tenant can progress any required repairs (or give a financial settlement) as agreed to allow a quick turnaround for new tenants to move in without delay, avoiding costly periods of vacant possession. From the tenant’s perspective, the potential liability needs to be identified as soon as possible. In general the obligation doesn’t necessarily mean completing all the work required to re-let the property. For example, a landlord might choose to improve their asset prior to putting the property on the market (freshen it up, improve efficiency and reduce energy consumption) to make the property stand out from the competition. As such, some of the work technically required as per the original agreement with the tenant to comply fully with the repair obligation may not be required, as planned improvement works may supersede previously specified dilapidation repairs. In addition, if the landlord plans to demolish or redevelop the property then they may not suffer a loss due the tenant’s failure to comply with its repair obligation and will have no claim in that regard. Also, a statutory limit applies to the landlord’s dilapidation claim and cannot exceed the value by which the proportion of the property is reduced by through the tenant’s failure to comply. Starting dilapidation discussions early and taking consultant advice where required before the final rush of vacating (or entering) a premises can save many financial and time related headaches going forward. I am by no means a trained legal professional, but as a building services engineer supporting clients through this process it’s very clear how important it is to define the terms of dilapidation repairs with clarity. Interpreting the terms in a different way to your property counterpart (whether as a landlord or a tenant) can have a huge impact on such a common built environment and property challenge – being clear is crucial to avoid costly misjudgements and unexpected problems. Read everything carefully before signing, seek advice if you don’t fully understand certain terms, don’t be afraid to negotiate, consider requesting or implementing a schedule of condition and start talking about required repairs early for a smooth and less stressful experience for everyone.